‘Can you tell what it is yet?’, that is drawing hundreds of people of all ages to the Walker Art Gallery, well it is the wonderful Rolf Harris exhibition that cannot fail to make you smile. Together with the videos of him talking you through his career, life, loves and portraits, painted in the different artists’ styles, there are so many aspects to this exhibition on show. I stopped John Devine, one of the attendants at the Walker, and asked him if it was his portrait I had just viewed hanging in the exhibition. 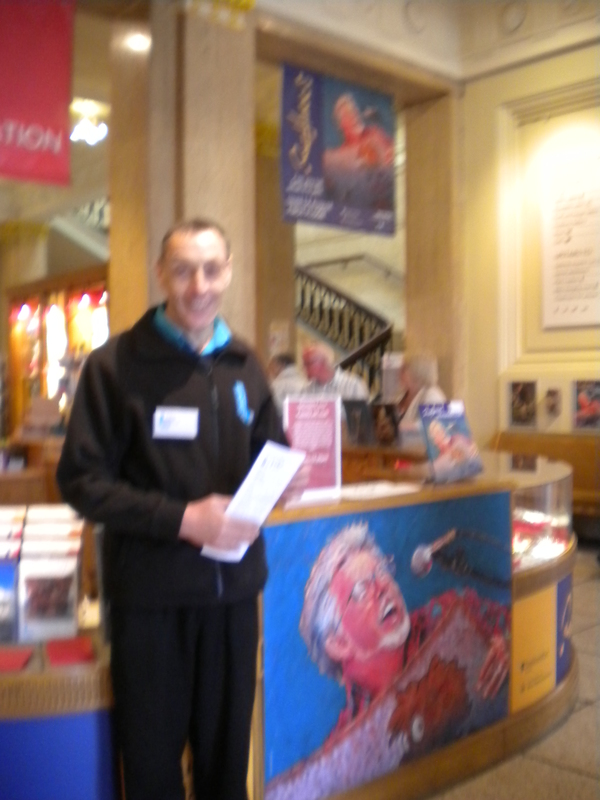 He confirmed that Rolf had visited the Walker Art Gallery only weeks ago and as a result of the visit, he saw John and decided to paint him, John is over the moon with the painting. He has become famous overnight with visitors asking for his autograph. I asked could I take his photograph!! Check out his portrait, not far from Her Majesty’s, Queen Elizabeth’s 80th birthday portrait. A Happy Day. On until 12th August 2012, one not to miss! 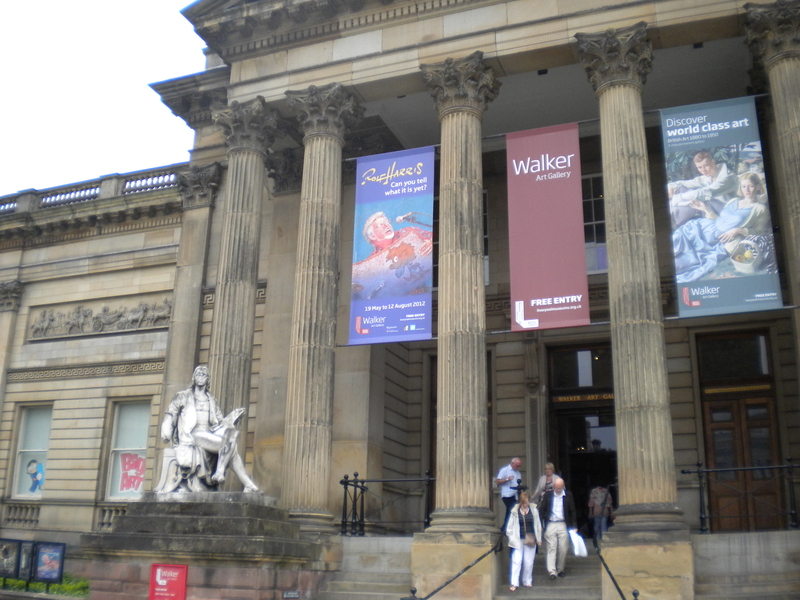 Tags: Exhibition, Free, Liverpool, Rolf Harris, WALKER ART GALLERY.